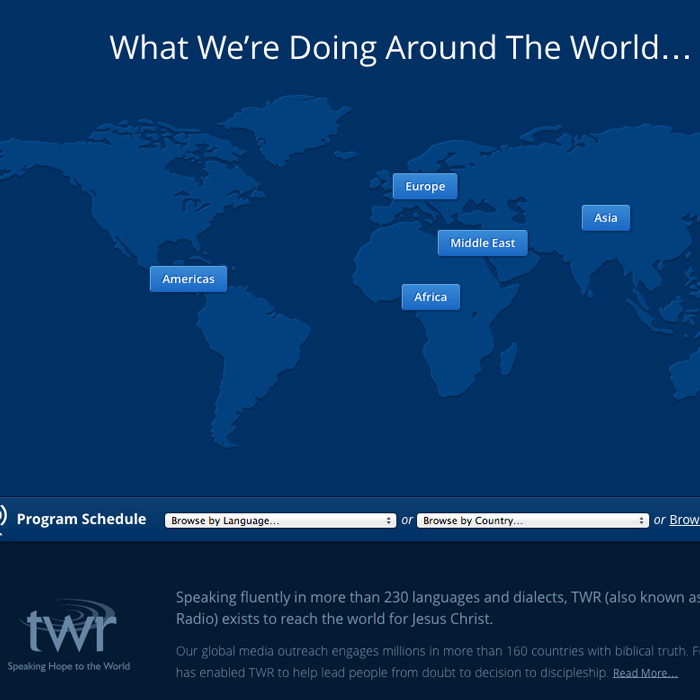 TWR is a worldwide ministry, reaching millions of people in more than 160 countries and 200 languages and dialects for Jesus Christ. To accomplish such a large task, TWR partners their efforts with numerous organizations, churches, and other ministries around the globe. These partnerships, however, posed a challenge to effective communication. As partner organizations reinterpreted TWR's brand messaging for their own websites, TWR found its identification and perception were being compromised. 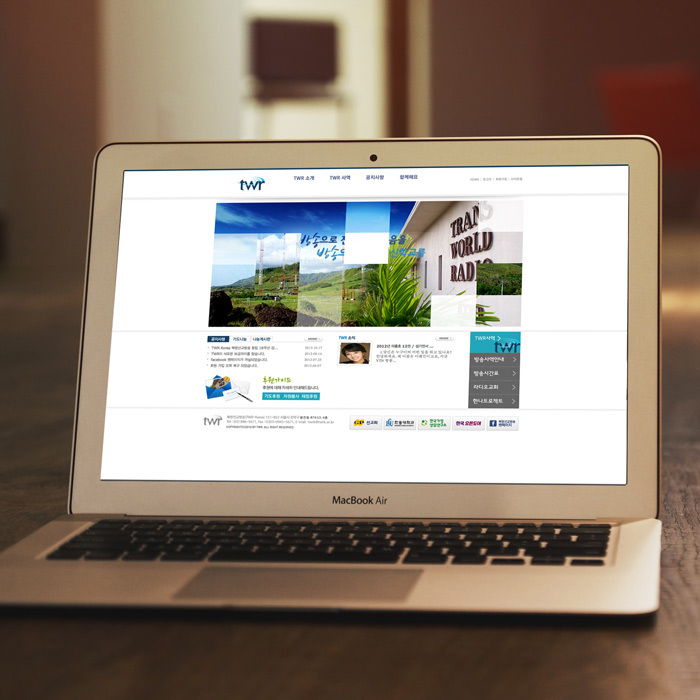 TWR partnered with The A Group to develop custom web platforms that would provide software solutions to help streamline and create consistency in branding, partner web presence and media resources. The A Group created a global site replication platform that allows each of TWR's partners to create their own custom sites consistent with the main site. Starting with a base English site, global partners can replicate the site, choose which pages and modules they want, add their own custom content within the overall site design and template and easily translate the site into their native language using the site's admin platform. This gives freedom and flexibility for the partner organizations while maintaining TWR branding and messaging. 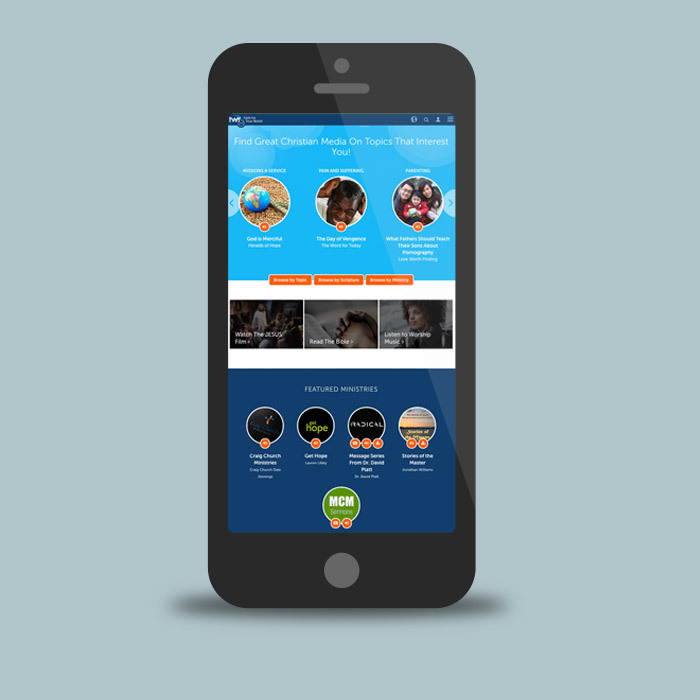 TWR needed a centralized repository to house their multi-lingual and scattered broadcasts in an easy-to-use platform with no language barrier. 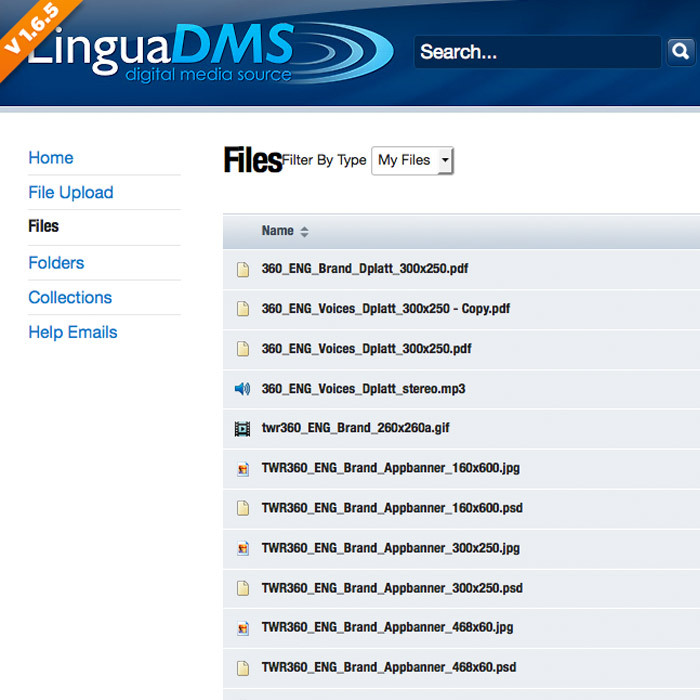 After extensive research with partner regions across the world, The A Group created Lingua Digital Media Source (LDMS) a cutting-edge tool for managing, archiving, repurposing and distributing digital files, such as videos, audio files, images or text documents. This digital media source can serve content to websites, mobile applications, Internet radio, and terrestrial broadcast outlets. 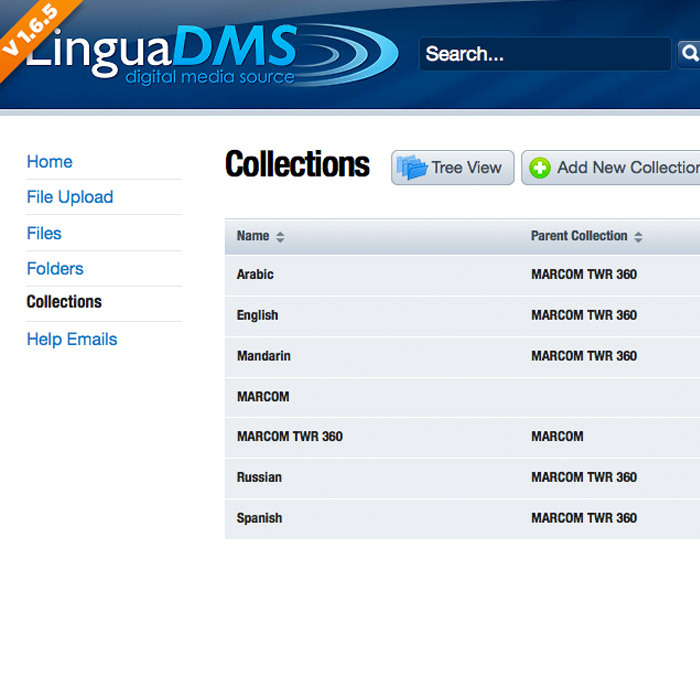 With all content in one place and organized by topic and language, LDMS is a solution being used worldwide for ministry. LinguaDMS provides ministries and organizations with the technology and means to get their message and content out through multiple media platforms. Radio broadcasts can be uploaded once, and then be distributed simultaneously to radio stations, Internet sites, and mobile apps. Ultimately, it enables the ability to reach anyone, anywhere, at any time. 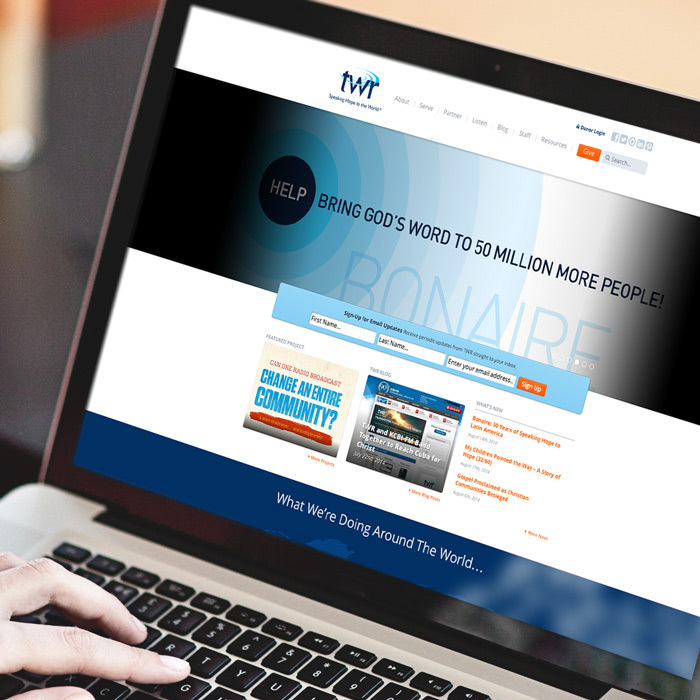 To help more people have a chance to hear the Gospel and to provide access to Christian resources from TWR's library, TWR launched TWR 360, a global, public website that houses Christian media in various different languages and from various ministry leaders. The A Group partnered with TWR to market the new site through a variety of channels including branding, website, global advertising and influencer outreach. 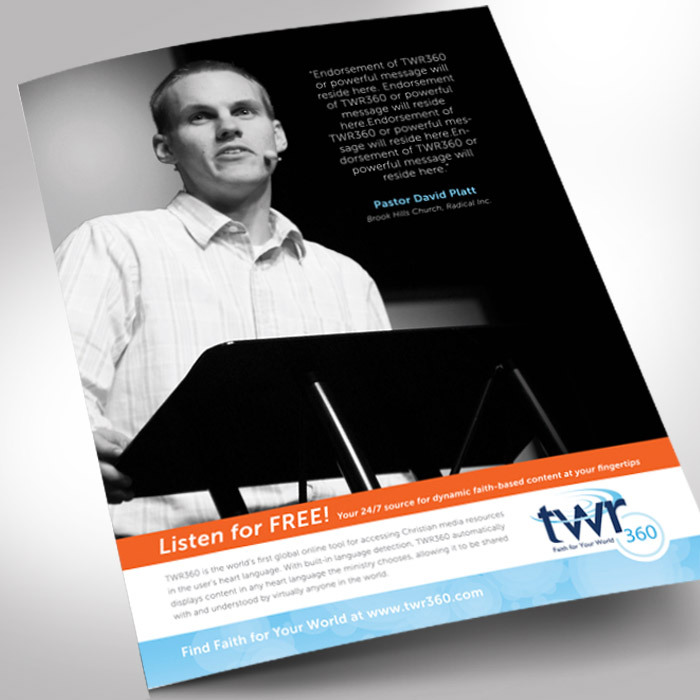 The influencer campaign featured prominent ministry leaders who contribute content to TWR 360.